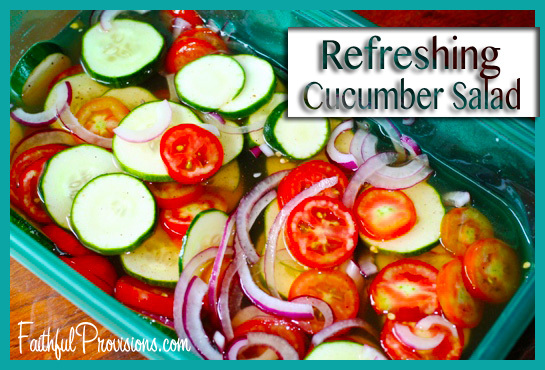 My mom made this a lot growing up and it is a great way to use all those summer veggies, plus it is cool and refreshing on a hot day. I would love seeing a bowl of it marinating in the fridge on a hot summer afternoon. I love all the fresh flavors of summer veggies, and the apple cider vinegar gives it an added zing. COOK’S TIP: You can easily morph this into a creamy cucumber yogurt salad recipe when you spoon it on some plain yogurt and sprinkle it with fresh dill. Combine sugar (or turbinado) and water in small sauce pan and dissolve sugar. Add vinegar and let cool. 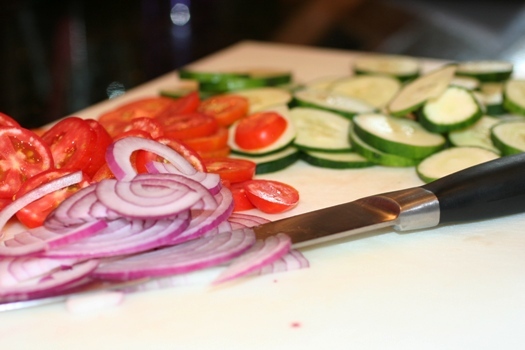 Add all ingredients in a glass or plastic bowl to marinate. Hi there cool web page! Person. Wonderful. Outstanding. I’ll bookmark your web blog in addition to use the nourishes in addition? Now i am happy to locate so many handy information below inside upload, we would like workout more tactics within this respect, many thanks for expressing.